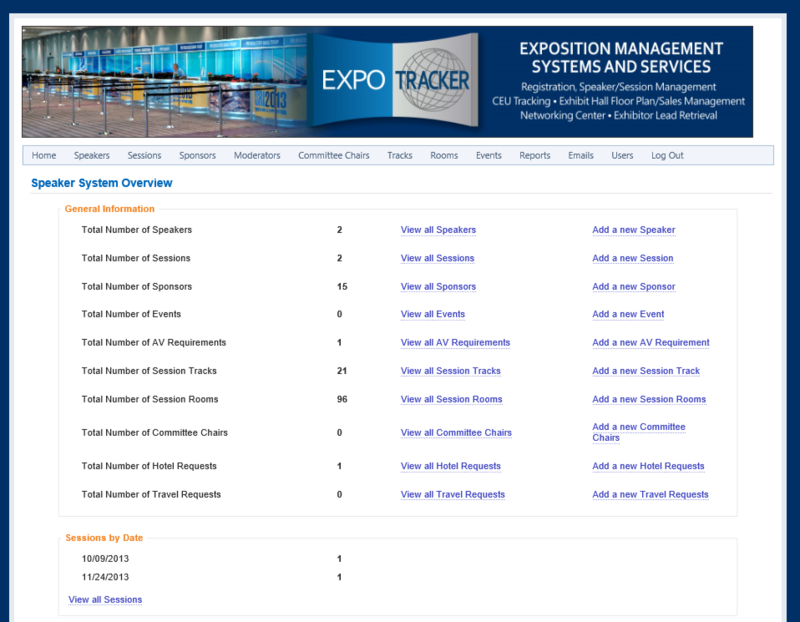 The Expo Tracker Speaker Management System creates an easy to use tool for show management, speakers and attendees to track and schedule unlimited number of sessions. Show management uses the system to invite speakers, and build a database of speaker bio’s/photographs, session descriptions, abstracts, presentation requirements, and travel schedules. Speakers build their individual session database by logging into the system, completing their profiles, uploading bios, including photographs, session descriptions, and completing the requirements for their presentation. Speakers login to make changes and updates, and to register for their name badge. Show management uses the system to track and communicate with speakers, and build printed directories, and online listings. When the sessions are created, the system integrates directly with the registration system. 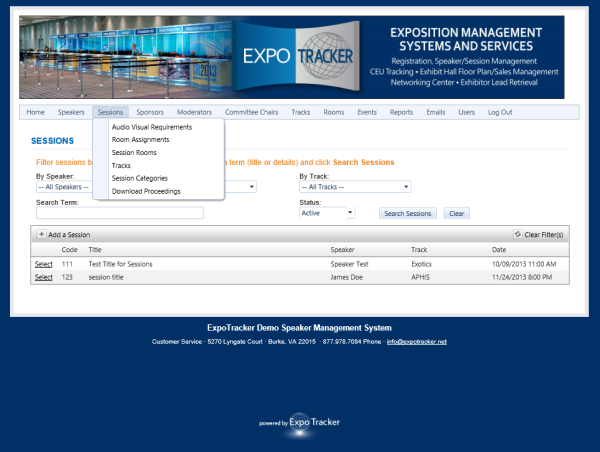 Show management can continue to edit session descriptions and seating limits even after registration opens. The system becomes a valuable tool and is a great addition to the conference web site as attendees can search for specific sessions, speakers or individual tracks, and then link directly to their registration record to add a session, or make any other required changes. Post event, show management uses the system to send session evaluations, CEU credits and communicate future education opportunities, etc.